The Rab Cirrus Flex Jacket is filled with Cirrus™ 3M Featherless insulation, a new synthetic alternative to down that offers the same warmth-to-weight ratio as 600FP of goose down. The Cirrus Flex Jacket is temperature regulating, insulating when stationary and breathing when moving. The Thermic™ stretch fleece panelling offers excellent flexibility and improved breathability, and the durable Hyperlite™ rip-stop outer and lining fabric sheds water and is fast drying. An ideal lightweight midlayer or outer layer that stays warm when wet and prevents overheating when moving. Designed to closely mimic the look and performance of natural down with two times the loft when wet and without the allergens. 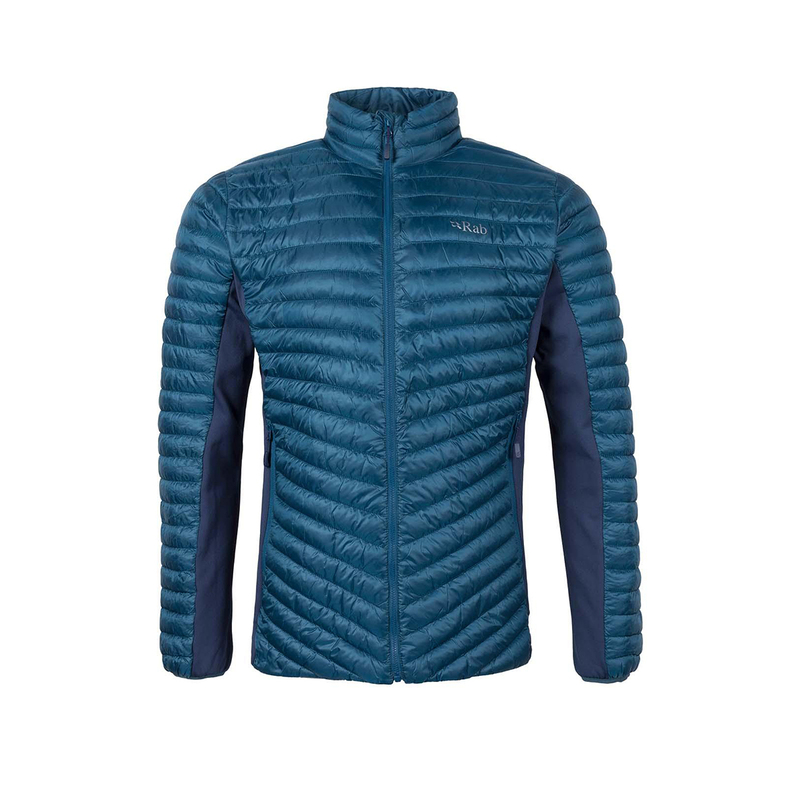 The fill is as lightweight as natural down, highly breathable, and provides extreme warmth for extreme conditions. In addition, the product is: warm even when wet, equal to 600 fill power - no feathers needed, and loftier than down at the same basis weight.